Free-style comments can be associated with any objects like tables, fields and indexes. There are two types of comments. User Comments are stored in a local file and are available only to the user who put them in. 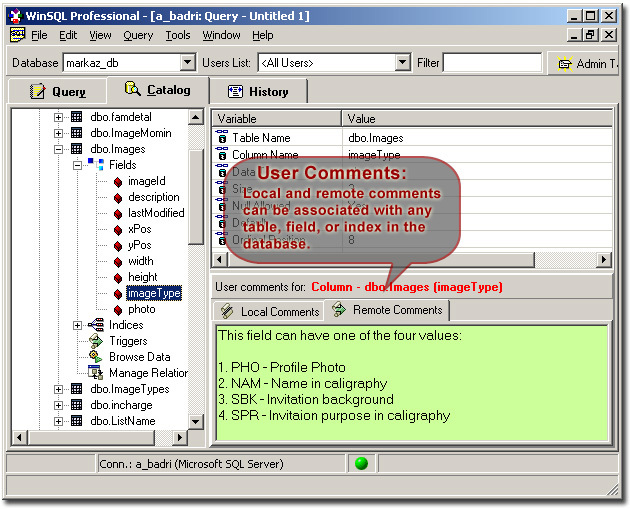 Remote Comments are stored in a table on the remote server and therefore can be shared by every user. By assigning appropriate permission on this table, administrators can permit or restrict users from viewing or modifying an existing comment.